We are right in the middle of potty training so we have been spending a lot of time just sitting in the bathroom. We are playing with dolls, singing songs and reading books to pass the time. At our local library I picked up this book because bilingual books are my absolute favorite. These books are usually written with one page in English with the Spanish translation on the other side. 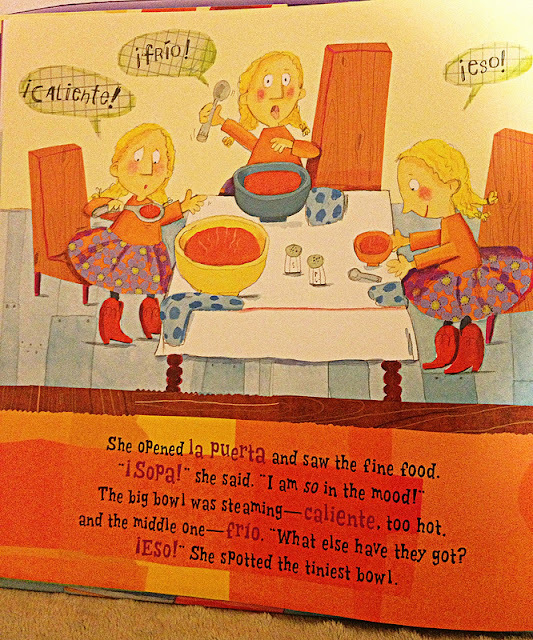 My kids usually tune out when I read en espanol. 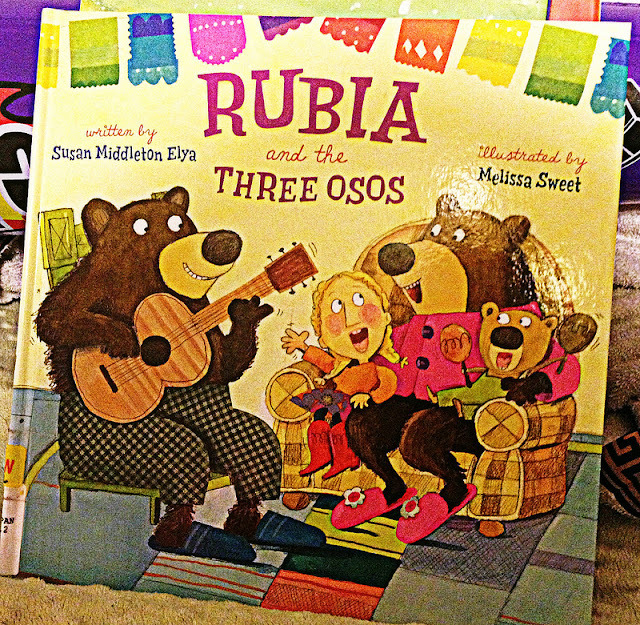 In this book by Susan Middleton Elya called Rubia and the Three Osos, they have brilliantly made the story in what we call Spanglish. Word in Spanish mixed in with English. A great way to reinforce some common everyday Spanish words my kids are familiar with. 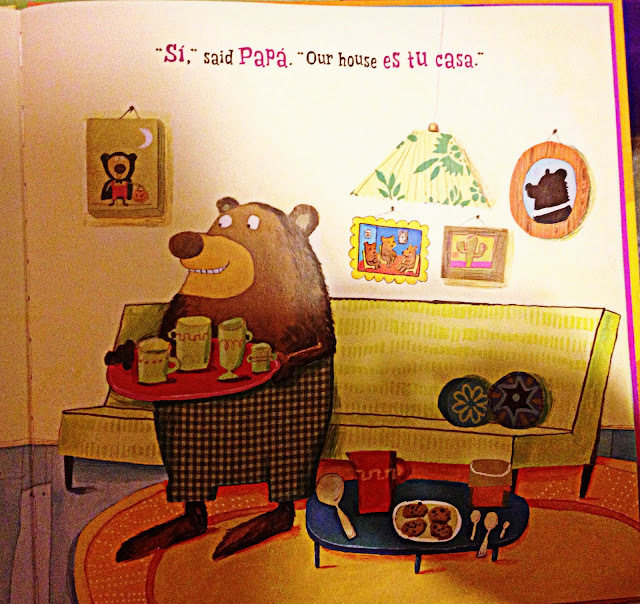 The last 2 are thanks to my sister because she always tells my niece and nephew "Go get your chanclas from the sala". 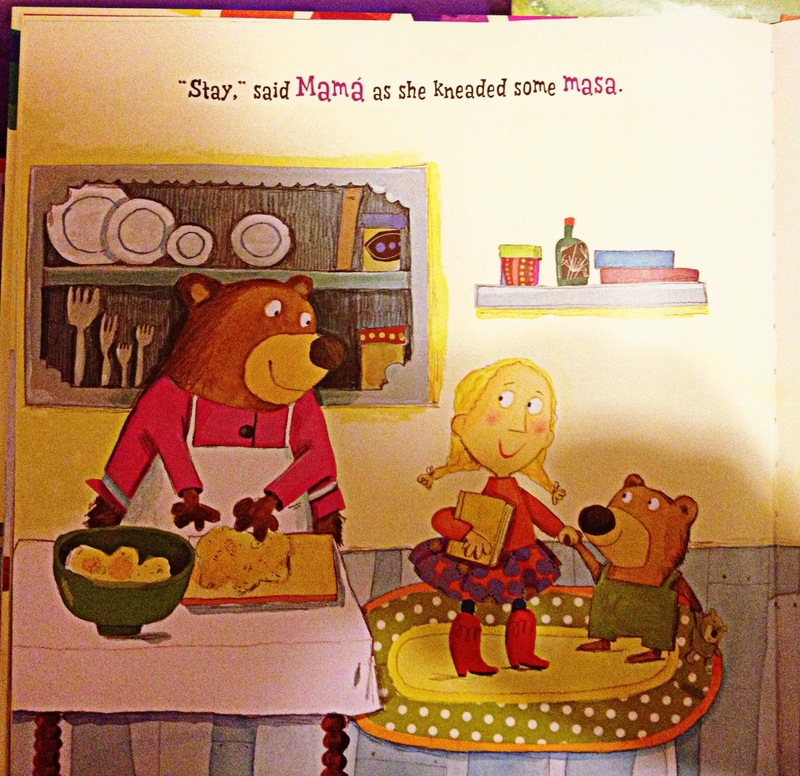 My Mom is also so great with talking to the kids in Spanish. I just hope that when it comes time for high school Spanish they remember some of it.